He was in the world and the world was made by Him but the world did not know Him – but as many as received Him to them He gave authority to become the sons of God. If ever there was a passage that lifted up the person of Christ – it is the 1st chapter of the gospel of John, for he identifies Christ’s supremacy from many different angles. He lifts the veil on the Christ of God by elevating Him to the throne of the Most High. The shining face of the prophet Moses is extinguished before this Light of the world. The perfect Law of God, bequeathed to Israel through the prophet Moses is branded ‘a ministration of death’ – before this Light of men…Who sheds grace and truth on all. He was in the world and the world was made by Him but the world did not know Him, but as many as received Him to them He gave authority to become the sons of God. The prophets of old were God’s instruments to unveil His eternal power and glory, but John gives the first glimpse of the great God among gods and Man among men. His Deity is demanded, for there is no other good enough to pay the price of sin. His Manhood in mandatory, for no other Days-man could redeem His brethren. This is the God-man, Who clothed Himself in flesh – the perfect sacrifice for sin. As fully God – He is the everlasting Son of the Most High God –He is uncreated and without beginning – of one Being with the Father Almighty. As fully Man – He was born as Jesus of Nazareth : the carpenter’s ‘Son. He started life as a Seed in the virgin’s womb – begotten of the Father and born. 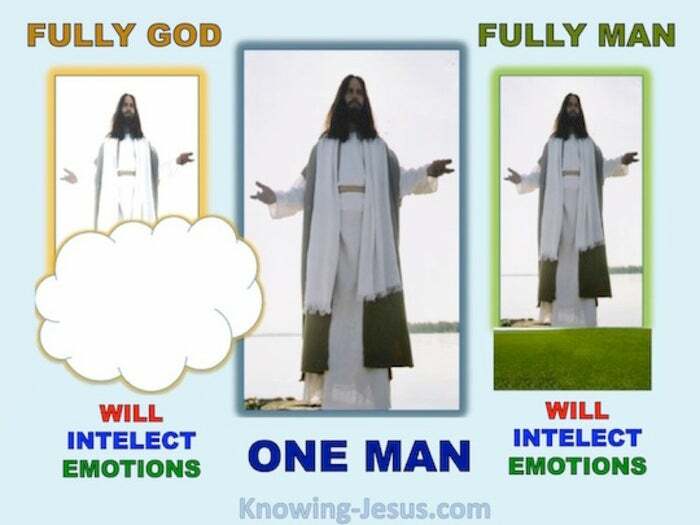 As the God-Man – He is the unique Person of the Trinity – the Christ of God.He is appointed Heir of all things – Judge of all men – Pre-eminent among people. He is indeed pre-eminent in all things. He is over all things and above all things. He is pre-eminent among men and angels. He is pre-eminent thru time and eternity. The glory of the Lord Jesus surpasses men’s imagination, and holy is His Name.